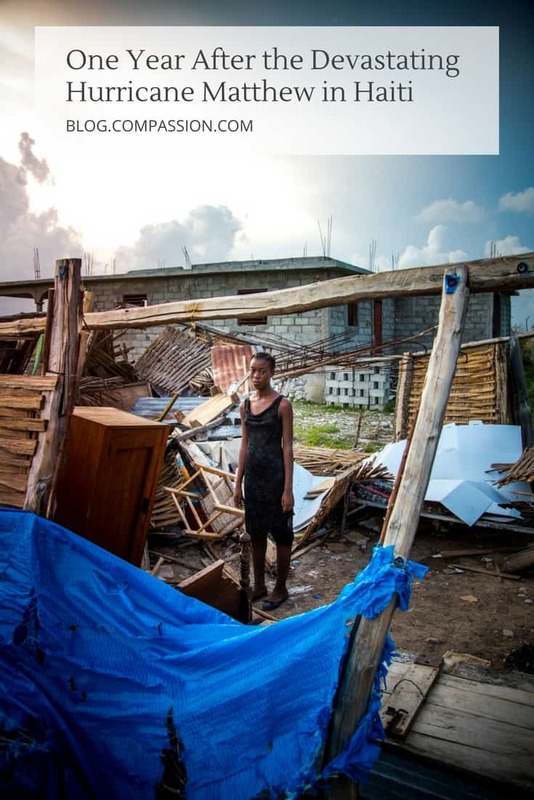 In the past months, we’ve seen the devastation wrought by natural disasters around the globe, like Hurricane Irma in the Caribbean and earthquakes in Mexico, to name a few. 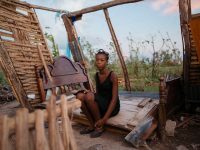 Many of you have responded with compassion, just as you did one year ago when Hurricane Matthew, a Category 4 storm, blew through Haiti, taking approximately 1,000 lives and causing $2 billion in damage. 20,950 food and hygiene kits were distributed to families. 12,000 children received medical checks and treatment through a mobile clinic. 6,000 families received financial assistance to repair homes and replace personal belongings. 400,470 water-purification tablets were distributed to prevent waterborne diseases, such as typhoid or cholera, common after natural disasters. 10,000 children and their parents participated in post-trauma counseling or activities. 750 parents are receiving capital and training to restart their small businesses. 56 church partners were provided grants to repair their school buildings. 2 churches are receiving help to rebuild their facilities that were completely destroyed. 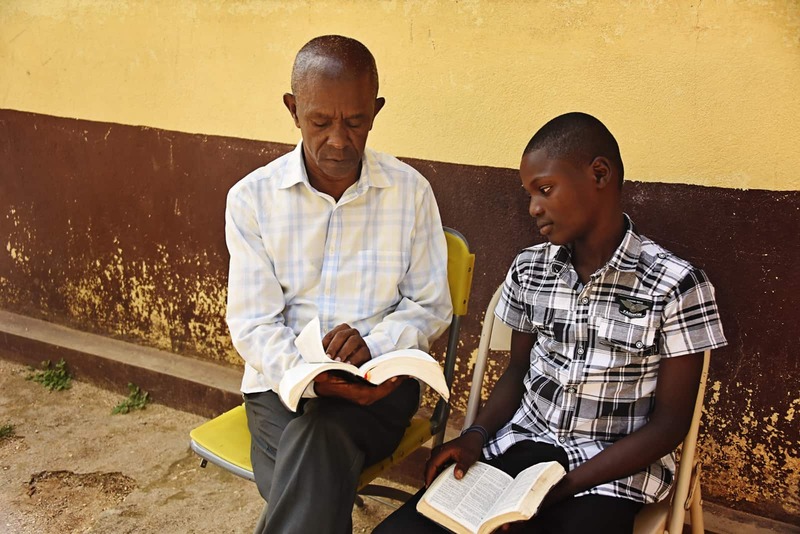 Edgar Alcime, senior pastor of a church in Moinson, Haiti, is in his sixties, but he had never experienced anything like Hurricane Matthew. Most people in Moinson are subsistence farmers, relying on the food they grow on their small plots of land, and animals they raise. But the crops were destroyed by Hurricane Matthew. 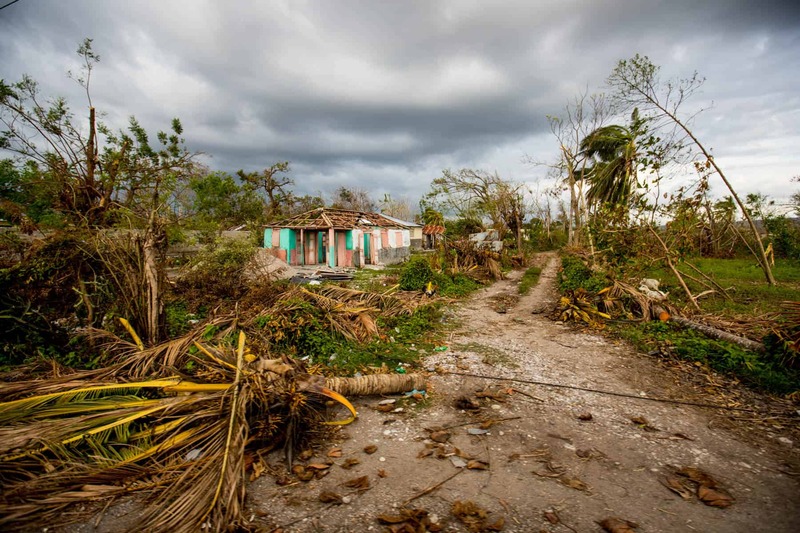 “I have never seen such a big and devastating hurricane during my whole life,” says Pastor Edgar. One of those who benefited from Compassion’s assistance is Laudamene Claude. Laudamene is almost 60, but she is the primary breadwinner for three of her grown children and three grandchildren who live with her. 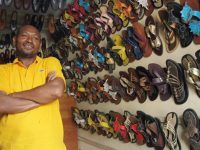 She sometimes sells secondhand shoes as a street vendor and tends her small farm to provide for her family. 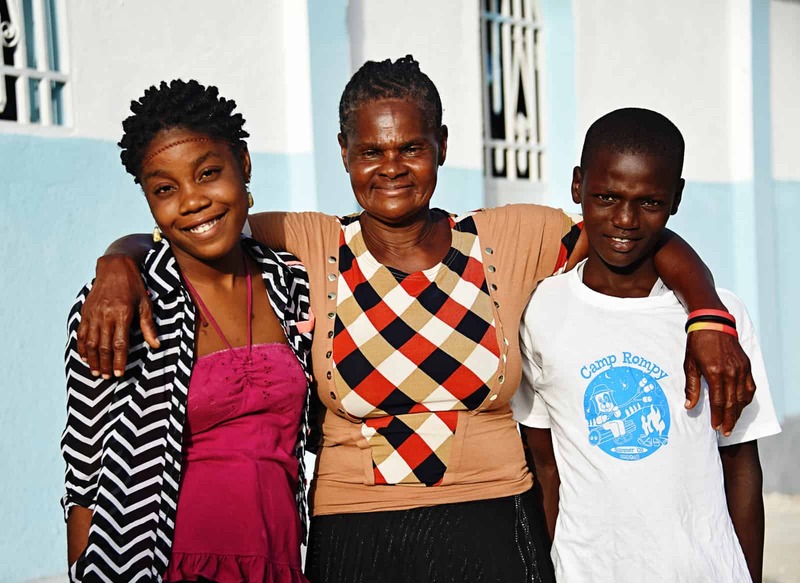 Her three grandchildren, Vanessa, Jean Vens and Cheika, are enrolled in Compassion’s program. Laudamene and her 3-year-old granddaughter, Cheika. Their family received aid to rebuild their home after Hurricane Matthew. Laudamene had spent five years building a house to live in with her family members. But it took only a few hours for Hurricane Matthew to tear down much of what she had built. 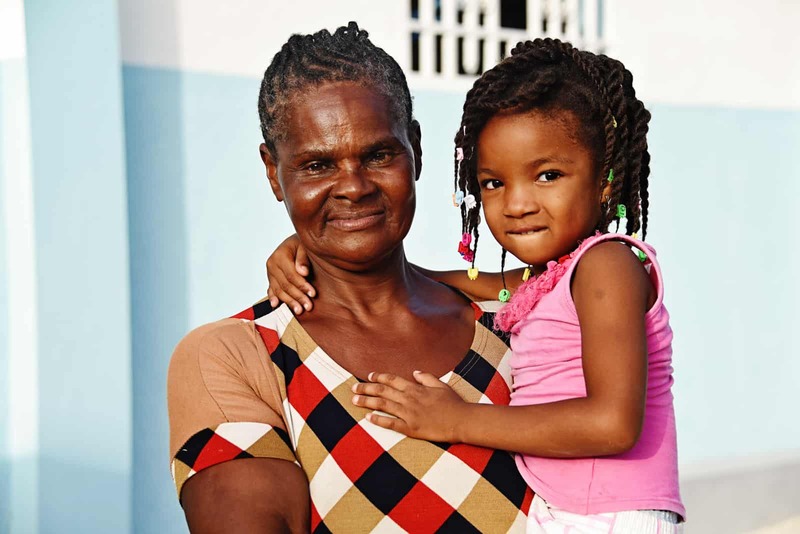 With the assistance, Laudamene has been able to repair her home even better than it was before. Laudemene (center), Vanessa and Jean Vens feel confident about the future thanks to the help they’ve received. Now the town of Moinson is beginning to turn green again. The crops are growing, and life is getting back to normal. Many families are rebuilding their lives, thanks to so many of you! 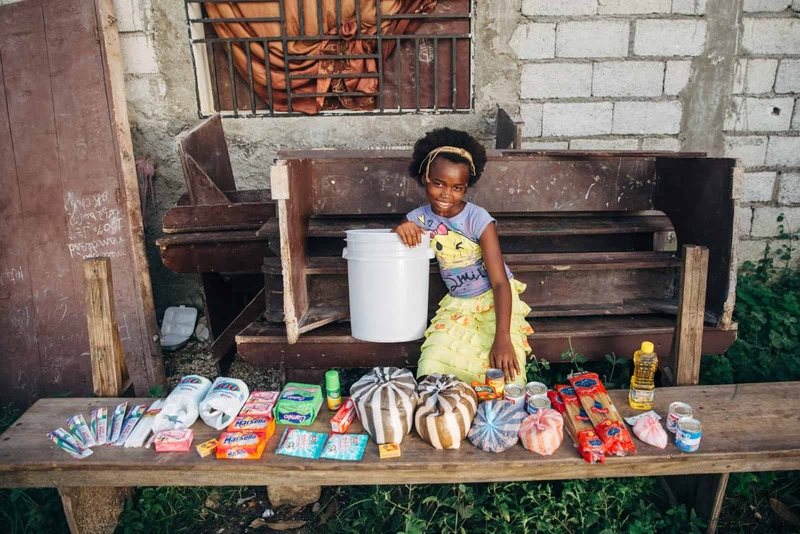 On the northern coast of Haiti, where families lost homes and possessions to Hurricane Irma last month, our church partners will continue to respond to the immediate and long-term needs of the children we serve. Many natural disasters have recently affected our Compassion family: Hurricane Irma, Tropical Storm Nate in Nicaragua, earthquakes in Mexico, flooding in Bangladesh and Sri Lanka, and the drought in East Africa. Because you continue to give to the Disaster Relief Fund, our church partners are able to take care of the children and their communities! 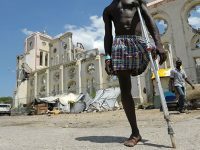 Hurricane Matthew in Haiti: We Are Here. We Survive. Dear friends, may the Lord bless you for your good deeds? May He multiply your opportunities for His glory!